Divi is a premium WordPress theme that is versatile as it is flexible. It has many features across a wide spectrum that make it a favorite among WordPress users. It is an extremely popular WordPress theme, many website designers and non tech savvy folk have used to build websites. The drag and drop design, easy to use modules and customization options make it easy to build websites according to desired specifications quickly and with little working knowledge of web design. Includes many content modules – each module comes with options that allows you to adjust relevant settings. 18 pre-made completely customizable layouts that can give you a good start for designing your own website. Extremely responsive, adapting to any device to provide an intuitive browsing experience. Scroll to the top, support for background video and side navigation. Support for WooCommerce, Google maps, MailChimp, Feedburner and Aweber. 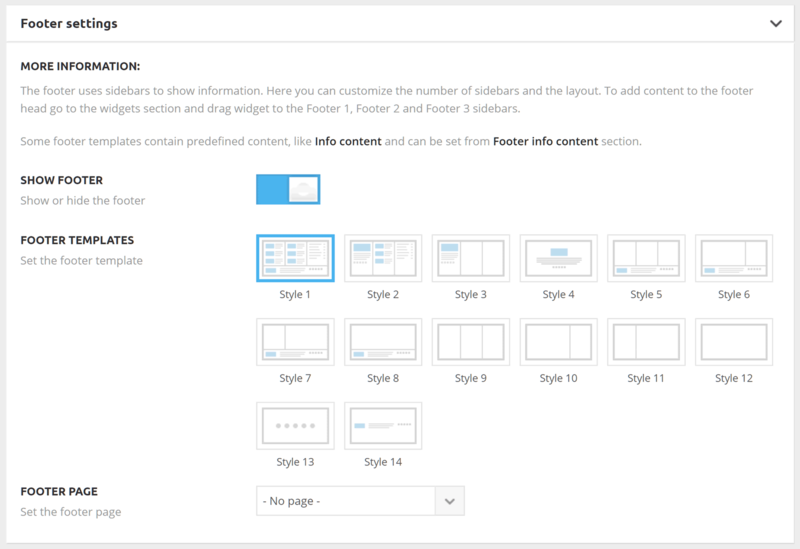 Page builder platform gives layout control over each and every page in the website. Customs CSS for the coding adept users to use their design skills. Awarded the Safe Theme Seal from Sucuri. Multiple and customizable header options. Great support from Elegant Themes, one the oldest WP theme houses and notorious for their quality. 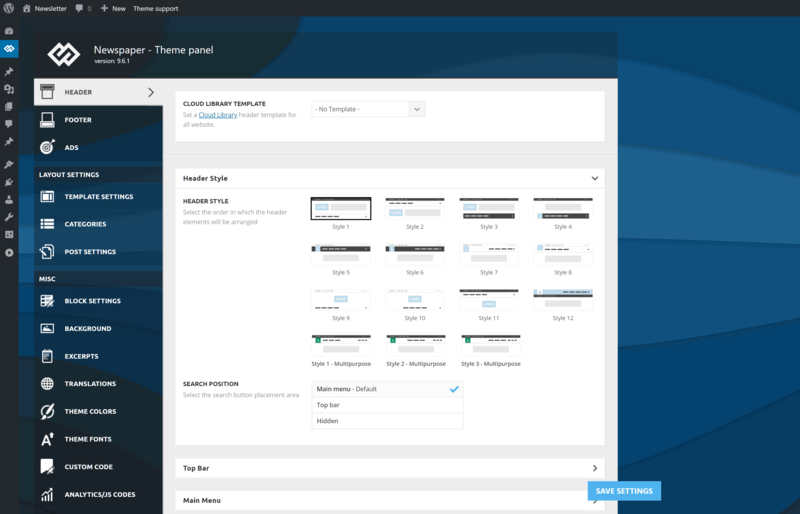 Theme includes over 1000 new design module settings and theme customizer controls. Divi Library included in recent update to save your own customized Divi Builder Layouts. Builder can be used to create blog posts as well. The builder transforms elements into visual building blocks. A 100% fluid grid comes with the recent upgrade. This allows the customizer to define customs control width, column spacing, menu heights, menu widths and much more, allowing super high resolution displays. Header can be uniquely styled and will automatically transition as the visitor scrolls. Navigation bar can be hidden until scrolling commences. I’ve also written a full review on the Divi Theme. To encapsulate how I felt about the theme in a few words is rather difficult. One of the standout features of the flagship theme of Elegant Themes is the Divi Builder. The builder, in combination with preset modules makes it possible for people who aren’t familiar with web dev to easily create a fully functional, responsive, search engine friendly websites without having to spend a great deal of time learning web development. Let us check out some example websites which have used the Divi theme as their framework. Divi has been used to create the website for this Leeds based design company. City Hill Church is a website for the faithful. The Layout options of Divi have been used imaginatively to organize the different sections of the website in an attractive manner. Divi might not be the most common theme used for churches but it does get the job done. If you are looking for themes that are dedicated to religious website you might want to check this list. Cyklus Vancouver features all the services offered by an innovative indoor cycling studio in British Columbia. The revolution slider lets a visitor peek into the studio to see the biking enthusiasts in action. The products available for sale in the online store have been taken to a separate page altogether. Fashion or Famine is an online fashion store that showcases clothing. It features a blog page and you can see Divi in action as the size of the header contracts as you begin to scroll down. Best Little Coffee Shops is a web portal that is used to share information on the friendly coffee shops that they have come across in the course of their travel around the world. The site is informative without being judgemental and you can almost smell the coffee as you browse. 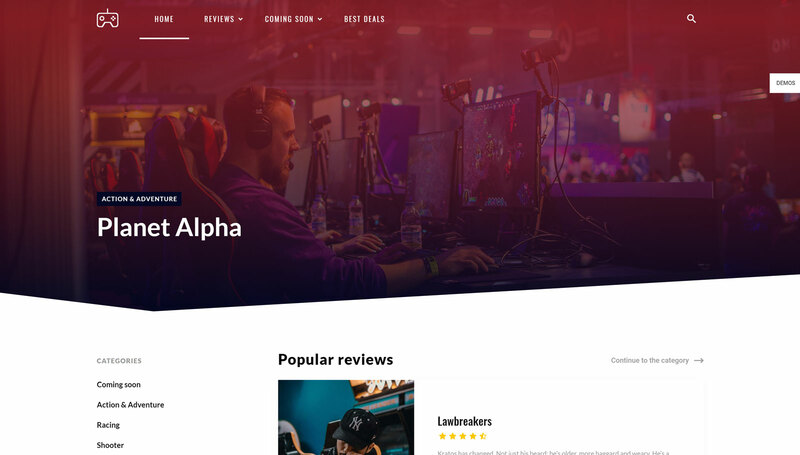 Notice how the logo in the header shrinks in size as you begin to scroll down, an awesome well designed site with excellent functionality made possible with Divi. Academy of Mine helps anyone who wants to sell their courses online. It contains many pages and also contains a blog. The homepage supports a ten minute video in a custom color background, explaining how courses can be adapted for online selling. Mini-You is an interesting Divi theme site website – it offers to sell you miniature figurines of yourself in selected sizes when you send an image or visit one of their booths to be 3D scanned. Divi has been used in this website to keep the drop down menu visible even as you scroll down. Figurine images stay constantly in the background even as you scroll down the homepage. FloorPlan Online serves as a marketing platform for realtors and photographers featuring content required by buyers and sellers. Divi has been used to build this website in a well organized fashion and there is an easy back to the top option that you can use if you have scrolled too far down the homepage. This saves you the trouble of having to scroll all the way back up to choose from the menu. A simple website engaged in finding new employees through referrals, FirstBird is built in pleasing colors using the Divi theme. Slavi Photography’s website is simple and is built on Divi. The homepage supports a video and has links to blog pages. Metanest belongs to an internet research and marketing company that builds websites and web applications and markets them to provide fully integrated solutions. This Divi based website has been interestingly built with a list of it’s clients being displayed in a ticker like fashion just above the footer. The Real Deal serves as a forum for startups and investors to meet, to match one with the other. It works as an interactive live streamed funding event. GoodWings is a neat website dedicated to travelling. It uses the side navigation bar, a prominent feature of Divi. Hyphen is the website of a logo designing and brand styling business. The revolution slider placed close to the midpoint between header and footer effectively showcases their latest work. The back to the top arrow takes you right back to the top of the homepage. Findability is a company that targets leaders in business, technology and marketing leaders with big data and cognitive solutions. It’s website is evocative of new age marketing methods and the support for background video from Divi is used to stunning effect. Layered images move smoothly over customized backgrounds. A digital marketing agency that delivers solutions using innovative communications and social video, the website of Story Track uses a series of videos to portray their work. Franzosini is a forwarding and logistics services company. Their website, powered by Divi, is well organised and the sidebar navigation and scroll to the top option makes navigation real easy. The stated mission of School of Stitch is to train people in the art of sewing. Their website uses Divi to display their stitching table and the services offered by them in a pleasing fashion. Google maps figures on the website, to direct a visitor to the school clearly and much of the information is contained in collapsible sliders, so that a viewer can navigate to his or her area of interest easily. Fehr & Peers is a transportation solution company. It has a clean and well laid out website. Its homepage showcases projects completed by them in video format. This website also uses the scroll to top option and side navigation bar of Divi. This is a marketing business, but with a difference. It claims to effect marketing plans based on soul centered strategies and fine values. It speaks from and to the heart and this is conveyed in the website by using typography options of Divi. This is a luxury pool villa in Thailand. The intimate, tranquil and essentially Thai nature of this resort is well brought out in the clear photographs displayed on their website. 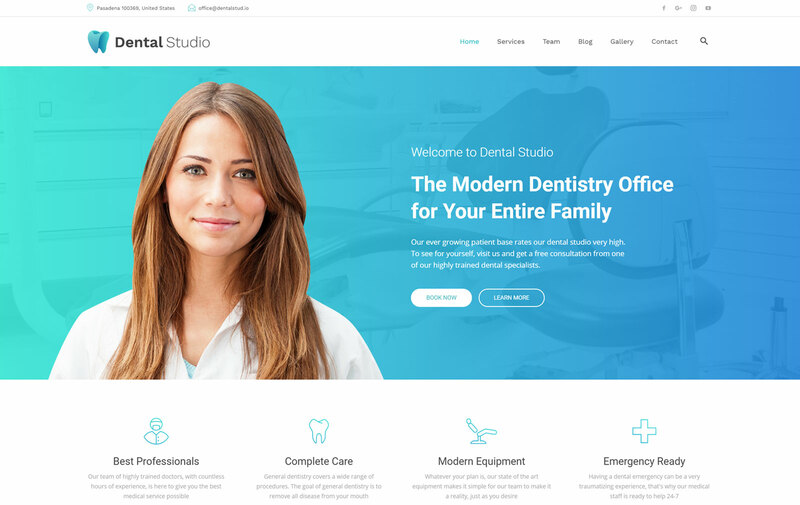 The website itself is built using the Divi theme. This is a business that helps entrepreneurs start small businesses that hope to change the world by improving the quality of life with their products or services. Their website, built on Divi uses light and dark shades to good effect. This New Jersey based web designer has chosen Divi for their website. A website dedicated to the promotion of nutrition and whole grains, the theme used here is Divi. Breezway is a world leader in louvre windows. The projects completed by them are displayed in a revolution slider on their homepage to good effect. The homepage also supports a video and the whole website has been designed in a pleasing way in different shades of blue. Windsor Bergen Academy is a quality education provider. It caters to children from pre-K to grade 8 and their website is designed in a child centric fashion and colors using Divi. A nice touch to the site is that the fonts used throughout the site reminds you of a child’s handwriting. A truly minimal website, the homepage is kept to the bare minimum. Crystal clear photographs take you on a virtual tour of the interiors of a home where you can see the work of the interior designer in detail. This is also a website that uses Divi as it’s theme. A website that aids in property search, the various sections are laid out neatly with a prominent header that displays the logo prominently. The contact details are taken to the side of the homepage along with the search options for property, so you don’t have to move away from the homepage to initiate a search. A beautiful, beachfront, luxury resort in Cost Rica that is a part of the wildlife tourism circuit, Playa Cativo has chosen to showcase it’s facilities on Divi. The reservation options that is easily located on the top right of the homepage in the header region itself can work to bring in more guests to the resort. Is Divi The Right Option For You ? A peek at the websites mentioned above will give a reader an idea of the possibilities in designing a website with the help of Divi theme. So, you need have no hesitation in going ahead and choosing Divi. Perhaps you can drop us a line when you are done, so that we can have a look at your website too. When someone expects a theme to help with ad conversions, well, they don’t understand the role of their WordPress theme. Will Your Theme Help You With WooCommerce Store Conversions? I’m using this theme on my new WordPress site, I hope it converts well too in terms of Adsense. Will xxxx theme help me to monetize my site? Think of it this way. Your theme is a tool, not the all-end to your WordPress needs. As with any tool, you will use it smartly, or you will screw things up. Your theme is jigsaw puzzle. Depending on your content, you have these spaces where you will insert this content, whether it’s text, video, audio, graphics, or a call-to-action. The template may allow you to be more versatile with the kind of content you can add to specific areas. This is very true when it comes to the layout of your homepage. Or you may be using a page builder where you have more control over the layout of each page. And going one step further, depending on your strategy for conversions, you likely will need other tools, or should I say plugins. For example, you may need the help of a good optin plugin for your site. Or perhaps a way to manage your ads or affiliate links on your site. In almost every case you will discover what will be needed. But in the end, it will all fall on you. Will your product or service sell? Will you place your content strategically to make the process of sales an easy one for your potential customers? Will your content, in whatever medium it is, convert to a sales? Will you have done all you need to do to bring traffic to your site and keep them coming back? When I look back at the question about whether a certain theme will help with Adsense conversions, if chosen right, and a lot of work went into the content, it could have an indirect, positive effect. And no matter how you are monetizing your site, it’s something to keep in mind as you look for your theme. With WooCommerce specifically, you cannot go wrong with either Storefront or Astra Pro, as one is made by WooCommerce, while the other is recommended by many WooCommerce experts. But that doesn’t mean there aren’t hundreds of others that might fit your need for your WooCommerce site. If you were pondering some monetization, and were to go here and see what StudioPress has available, you could those thoughts I shared with you and in the end, decide what would work for your specific needs. But to be realistic, every one of their themes could be used for monetization. In the end, heck, let’s face it, no theme alone will improve conversion or help you make money. It’s more about the process that you use to take your potential customers through in order to get that conversion. Bluchic makes “feminine WordPress themes for female entrepreneurs”. They have a ton of great designs for lifestyle and fashion blogs, and their aesthetic is quite similar to what pipdig offered. For example, here’s pipdig’s Blossom theme on the left vs Bluchic’s Samantha theme – you can see that there are a lot of the same principles at work! In total, Bluchic offers 14 different themes for you to choose from, so you can probably find something with the style and functionality that you want. The prices are pretty similar to pipdig, too. Most of pipdig’s themes cost $69, and Bluchic’s themes are priced at $79. And for the important part – Bluchic has been around for a long time and is totally clean, and it’s run by a husband and wife team who are very transparent about who you’re working with. The prices are also even cheaper than pipdig, coming in at just $49 for access to all the themes. And again, Nimbus Themes is a quality shop that you can trust. Solo Pine is one more theme shop that follows a similar aesthetic to pipdig. They offer 11 different themes for you to choose from, with affordable prices starting at just $49. The pipdig themes situation is unfortunate, but we hope this post provided you with a little help to find an alternative that works for you. Unfortunately, changing WordPress themes on an established site is never fun. However, we do have a post with some tips for changing WordPress themes that will lay out some of the most important things for you to consider as you make the switch. You can also use Mark Jaquith’s P3 Neutraliser plugin to block the malicious code in the Pipdig Power Pack plugin and give yourself some extra time to switch. Have any questions about making the switch away from pipdig? Ask in the comments and we’ll try to help! Divi, by Elegant Themes, ranks amongst the most revolutionary — not to mention popular — WordPress themes released to date. Aimed at giving newbie WordPress users the power and flexibility required to create their own sites without having to get tangled up in a single line of code, Divi includes an intuitive visual layout builder and comes with over twenty pre-made designs — all of which are fully responsive (meaning they’ll look good on any size screen). But hey, that’s enough of an introduction to Divi — because likely-as-not, you’re already familiar with all that Divi has to offer. 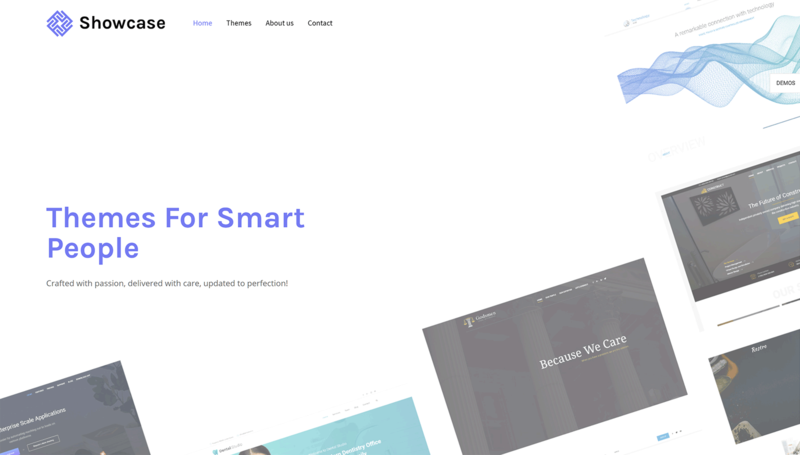 Instead, let’s take a look at what Divi can do: by showcasing over seventy-five absolutely stunning real-life, live example websites powered by this incredibly popular theme! Looking to use Divi on one of your own sites? Be sure to choose the right hosting service! Know of any other nice examples of live sites using the DIVI WordPress Theme? Any favorites? Do you want to create a custom WordPress theme from scratch? In the past, you had to follow the WordPress codex and have a decent coding knowledge to build a custom WordPress theme. But thanks to new WordPress theme generators, now anyone can create a completely custom WordPress theme within an hour (no coding knowledge needed). In this article, we will show you how to easily create a custom WordPress theme without writing any code. If you hired a developer or agency, then the cost of a custom WordPress theme can reach thousands of dollars. Since many small business owners couldn’t afford the high costs of a custom WordPress theme, a lot of them just settled for the default themes that came with WordPress. Those who didn’t want to settle and wanted customizations either used a drag & drop WordPress page builder, or they used a theme framework to build a custom theme. While WordPress theme frameworks made building a WordPress theme easier, they are a solution for developers, not an average website owner. On the other hand, WordPress page builder plugins made it super easy to create custom page layouts using a drag & drop interface, but they were limited to layouts only. You couldn’t build custom themes with it. Until Beaver Builder, one of the best WordPress page builder plugins decided to solve this problem with their add-on called Beaver Themer. Beaver Themer is a site builder add-on that allows you to create custom theme layouts using a drag and drop interface and without learning to code. Let’s take a look at how to use Beaver Themer for easily creating a WordPress theme. Beaver Themer is an add-on plugin for Beaver Builder, so you will need both plugins for this article. First, you need to install and activate the Beaver Builder and Beaver Themer plugins. For more details, see our step by step guide on how to install a WordPress plugin. Beaver Themer allows you to create a custom theme, but you will still need a theme to start with. We recommend using a light-weight theme that includes a full-width page template to act as your starter theme. Astra – A free light-weight all-purpose WordPress theme that comes with built-in support for Beaver Builder. OeanWP – Another popular free multi-purpose WordPress theme that comes with full page builder support. StudioPress themes – All of their themes are compatible with Beaver Builder and would work great with Beaver Themer. For the sake of this tutorial, we will be using Astra, which is light-weight and easy to customize WordPress theme. When building a custom WordPress theme with Beaver Themer, it’s important to make sure that Beaver Themer has access to the full body of the page (from edge to edge). This is the default Astra layout. As you can see that this layout includes a sidebar which can be difficult to work with when using Beaver Themer. You can change that by visiting the admin panel of your website and then navigate to Appearance » Customize page. From here, you need to switch to the Layout » Sidebars tab. Once there, simply select ‘No Sidebar’ under the default layout option and click on the Publish button to save your changes. Your theme will now start using a layout with no sidebars. This is the best layout to use with Beaver Themer. This full-page layout allows Beaver Themer to use every inch of the screen, so you can create a beautiful end-to-end visual experience. Most WordPress themes include a template file for full-width pages. If you are using some other theme, then you may find an option to remove sidebars in your theme settings. If you cannot find it, then contact your theme developer and they may be able to help you with that. Once you have set up your theme to a full-width layout, you are ready to create your custom WordPress theme using Beaver Themer. Beaver Themer works on top of Beaver Builder. 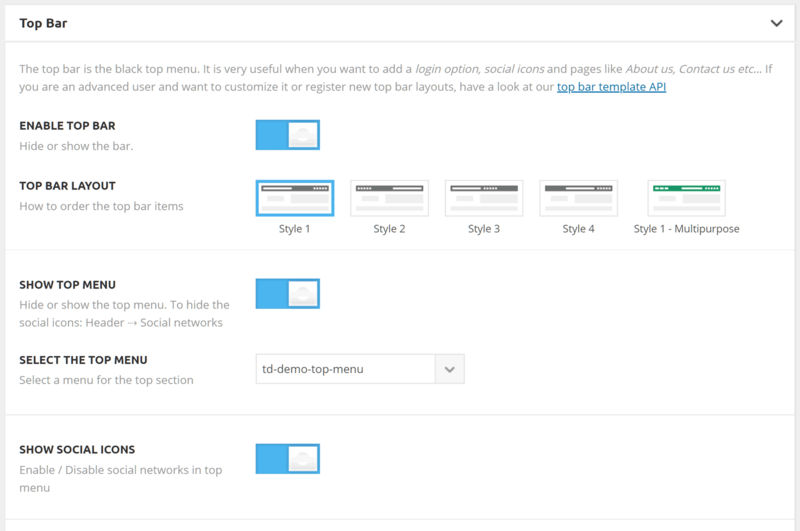 As a page builder plugin, Beaver Builder allows you to drag and drop items to a page to create custom layouts. Template: A collection of columns rows, and modules that make up an entire page layout. Columns: Vertical layout modules that help align content horizontally. Module: An item that outputs specific information such as title, text block, table, gallery, etc. Simply edit a page in Beaver Builder and then click on the add button at the top right corner. You can then drag and drop columns, rows, modules, to your page and start editing them right away. If you don’t want to start from scratch, then select from a list of pre-made templates to begin with. Beaver Builder also allows you to save your layouts and then use them later as templates. To learn more see our article on how to create a custom page layout using Beaver Builder. However, we don’t just want to create page layouts. We want to create a complete custom theme. This is when Beaver Themer comes in. It adds another item to Beaver Builder called ‘Themer Layout’. Themer layouts allow you to create custom layouts for the header, footer, content areas, 404 page, and other template parts. These are the building blocks of all WordPress themes and by using them you’ll be able to create a custom theme that fits your needs. In the following instructions, we’ll walk you through the steps it takes to build the most popular custom theme elements. By the time you’re done, you’ll have completely transformed your base theme into a fully custom WordPress child theme. Let’s start with your website’s header area. A custom header is an essential component of a theme and building one can be tricky using traditional methods. Luckily, Beaver Themer has header features built in. You can either use the pre-created template or use the menu and image modules with a two-column layout. In order to get to this header area, first, we’ll need to set up a header layout in Beaver Themer. Visit Beaver Builder » Add New page and provide a title for your header. After that, select ‘Themer Layout’ as the type and ‘Header’ as the layout option. Once you’re done click on the ‘Add Themer Layout’ button to continue. This will bring you to the layout settings page. From here you need to select ‘Entire Site’ as the location where the header template will be displayed on. Next, click on the ‘Launch Beaver Builder’ button to open the builder interface. Beaver Builder will launch with a basic single column and two-row header layout as a starting point. You can use the same Beaver Builder drag and drop tools to change the background, colors, text, etc. You can also add other modules, load pre-made templates, and add rows / columns by clicking on the add button at the top right corner. Once you are satisfied with the design, click on the Done button to save or publish your layout. You can now visit your website to see your custom theme header in action. As you can see, we have applied the header layout to our custom theme. Aside from the header, it will not you show any content yet, and you will likely see your base theme’s footer area. You can create a custom footer for your theme using the Beaver Themer just like you created a custom header. 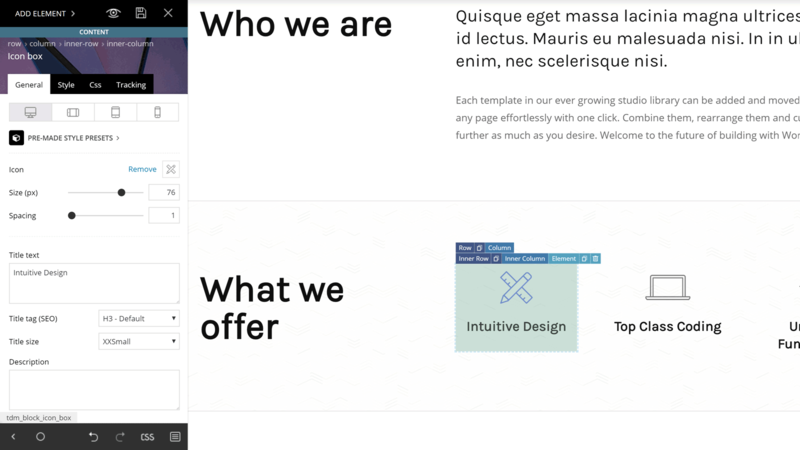 Head over to Beaver Builder » Add New page and provide a title for your footer layout. 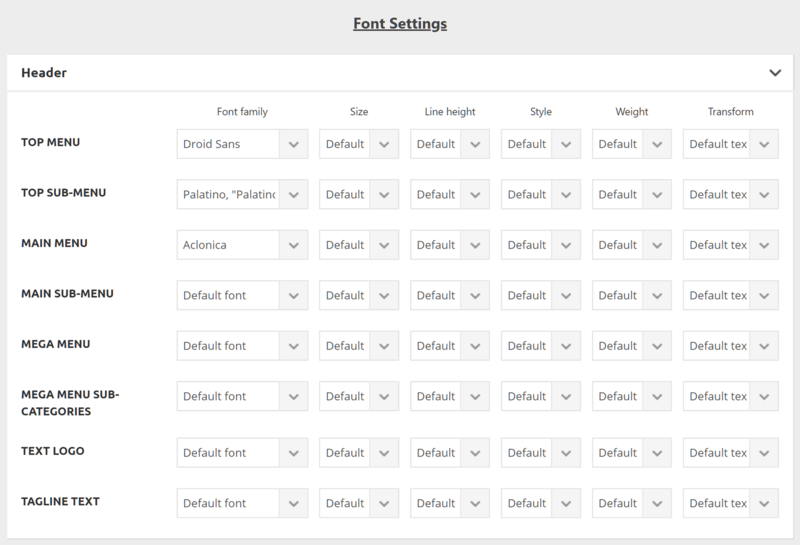 Next, select ‘Themer Layout’ as the type and ‘Footer’ as the layout option. Click on the ‘Add Themer Layout’ button to continue. This will bring you to the layout settings page. From here you need to select ‘Entire Site’ as the location that the template will be displayed on. After that click on the ‘Launch Beaver Builder’ button to open the builder interface. Beaver Builder will launch with a footer layout using three columns. You can use this layout as a starting point and start editing. You can add modules, text blocks, or anything else you want. You can always change colors, fonts, add a background image, and more. Now that we’ve created headers and footers for every page and post on the website, it’s time to build the post or page body (the content area). We’ll start off in much the same way that we built the header and footer by adding the ‘Singular’ layout in the Add New page. Next, you will choose where to display this layout. You can choose singular to use it for all single posts and pages, or you can choose posts or just the pages. Beaver Builder will load a sample singular layout with post/page title at the top, followed by content, author bio box, and comments area. You can point and click to edit any of these items or add new modules, columns, and rows as needed. Once you are satisfied with the layout, click on the Done button to save and publish your changes. Now that your custom theme has started to shape up, you can move on to creating layouts for other parts of your website. Archive pages are where WordPress displays your categories, tags, author, and monthly archives. Let’s create a layout for archive pages in your custom theme. You’ll start by visiting Beaver Builder » Add New page and providing a title for your archive layout. After that, select ‘Themer Layout’ as type, and ‘Archive’ as the layout option. Click on the ‘Add Themer Layout’ button to continue. This will bring you to the layout settings page. From here you need to select ‘All Archive’ as the location that the template will be displayed on. You can also create separate layouts for each individual archive type like date, search results, category, tags, etc. Beaver Builder will launch with a basic single column archive layout. It will display archive title at the top, which is followed by posts. You can point and click on any item to edit its properties. You can also add new modules, rows, and columns as needed. After that, click on the ‘Done’ button to save and publish your changes. Beaver Themer also allows you to create layouts for other pages in template hierarchy, for example, 404 page, template parts, search results page, and more. Using the built-in drag and drop functionality of Beaver Builder, you can easily create your own custom WordPress theme from scratch without ever writing code. This is truly the most beginner friendly WordPress theme development method in existence. We hope this article helped you learn how to create a custom WordPress theme without learning to code. You may also want to see our guide on how to speed up your WordPress website for better SEO and user experience. The post 32 Outstanding Newspaper Theme Examples For Inspiration appeared first on Colorlib. If you are in a quest for a perfect blog WordPress theme this is a proper article to look through. We don’t know which niche you occupy still have an extraordinary solution for all bloggers. Are you intrigued? Let us delve into this issue. We are sure that you would agree astrology is the aspect of the being that people find quite fascinating. Not surprisingly really, since it helps lots of people to understand their character and find an explanation for certain events in life. You know what zodiac sign is, however, there is another element which, by astrology matters, affects a person’s character. This matter is the ruling planet. We have decided to find the most appropriate blog WordPress themes according to the ruling planet. Of course, it is a subjective thing to pick what’s fit one person and what doesn’t. Anyway, we would be happy to see your thoughts on how you agree or not with our point of view. Hope this article initiates heated discussion in the comment section. Now let’s get down to the exploration of perfect blog WordPress themes according to your ruling planet. Such a person definitely needs something “in your face” to launch a blog. Vagabonds theme is the theme that would not leave anyone indifferent. It is made for creative persons that live an interesting life and desire to share their adventures with a wide audience. You know these creative people don’t really like to think about technical issues and prefer to avoid boring tasks. Which is why this theme would suit the “Sun” person, as it requires interaction with the code. The theme design is based on drag-and-drop technology. What is more, it supports several page builder so you can choose the tool that would be handier for you. Creation of the website wasn’t as simple before. People with a big ego would also love this theme as it comprises gorgeous sliders, galleries, and ready-made pages. All these predesigned pages are there to help you represent the content with a bang. Katelyn theme won’t fail you. Especially is Moon is your ruling planet. It doesn’t have a complicated interface however features tons of awesome options for a blog. This theme looks fresh and lite. Great thing is that Katelyn theme is adaptive, which means your followers could use it from any device. It would suit for a business coach as well as for a lifestyle blogger that wants to share thoughts and emotions online. Developers have included lots of premade pages in order to save your time. As this is one of recently made blog WordPress themes it is compatible with the most innovative tools in the industry of website building. One of such tools is Gutenberg. This builder allows the creation of website design without touching a line of code. Katelyn has enhanced block styles, tons of shortcodes which are fully-compatible with Gutenberg, support for all Gutenberg blocks, and lots of other handy features. Listen to your intuition and get Katelyn theme for your blog. If you are from the planet of intellect – Maxify theme will suit you. This theme is made for intelligent people who know exactly what they want and are not afraid to say it out loud. So, if you are a startupper that has a project ready-to-go – check out the demo version of this theme. With Maxify theme, any content will look classy. It comprises tons of shortcodes, modules, homepages which anyone can use to the advantage of the project. Apart from that, this theme uses super-handy content composer for customization and features lots of useful plugins, including MailChimp, Slider Revolution, WooCommerce, Essential Grid, and much more. All photos and posts are adaptive and look perfect on a PC screen as well as on a tablet one. You shouldn’t worry about the arrival of new clients and followers as this theme is made with clean and valid HTML5 and CSS3 code. It ensures the best position for your blog in all popular search engines. Rosalinda theme has a delicate and clean design that spreads an atmosphere of love. Love to Nature is a decent philosophy of being so anyone desiring to share those vibes with the audience is welcomed to explore the Rosalinda theme. Even though it comprises lots of ready-made options there is still lots of space for creativity left. All layouts are supported by premium WP plugins, including WPBakery page builder. Another gorgeous tool that will help you to change the appearance of your website is TRX Addons. By means of this plugins, you can redesign header and footer. Also, it provides you with the ability to use different post types. You will find even more useful plugins that will simplify your work. This theme is not just about food and nutrition. Rosalinda theme is made for those who want to discover the most delicate and vulnerable sides of a personality. 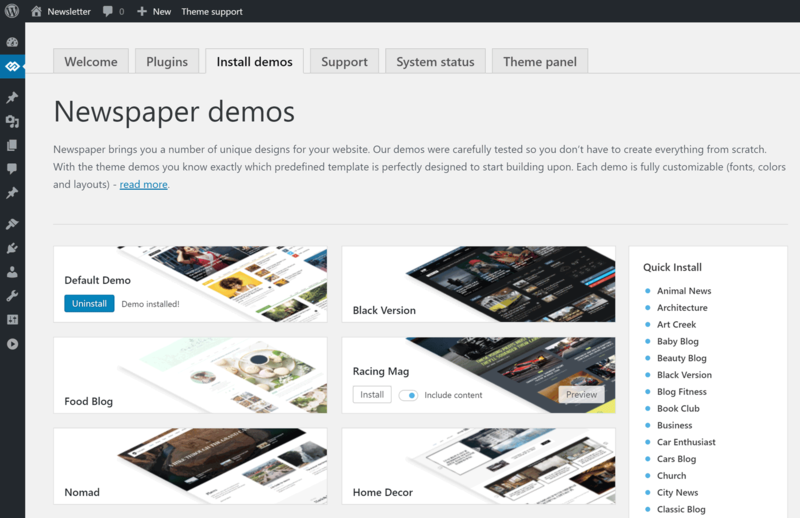 If you want to feel the real power of WordPress theme, you need this theme. Marcell is made to keep a drive. With this theme, you will forget about technical problems and concentrate on the content. We believe such theme is perfect for a powerful and persistent person, as such a clean and simple design will not overshadow the actual content with its brightness. This theme supports shortcodes, widgets, and different post types. As “people from Mars” are not tended to wait for anything, Marcell comes with One-Click Installation option. This tool will import all the demo data in few minutes. By the way, all the pages are super fast loading which will satisfy your visitors for sure. Apart from different functions and options, Marcell theme features compatibility with WordPress 5.0 and Gutenberg page builder. With this theme, you will set up your authority online. You won’t find a better theme to represent a citizen of the planet of abundance then Especio. This theme will help you to grow in a professional way. This theme has a stylish design that would refresh any blog. This theme is especially good for a food blog, recipe website, sports, and nutrition magazine, dietician, etc. There are plenty of pre-made pages that cover the food topic. Your posts and articles will look immaculate on responsive layouts of the Especio theme. 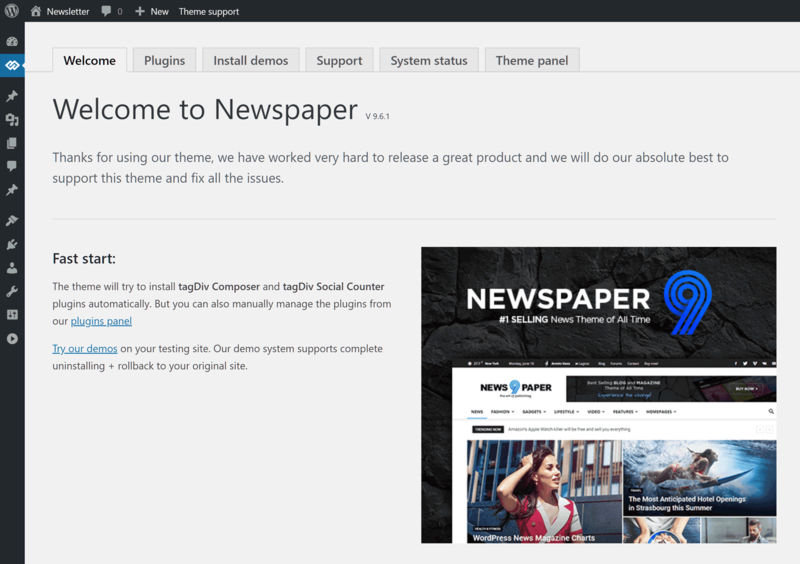 You will install and manage this theme without difficulties as it features the One-Click Installation option and a pack of the theme documentation. Moreover, there is a professional team of designers and developers that are ready to help you with all theme related issues. The theme comes with a fully-customizable blog feed and allows you to choose from different categories and post types. Especio theme offers advanced blog options. 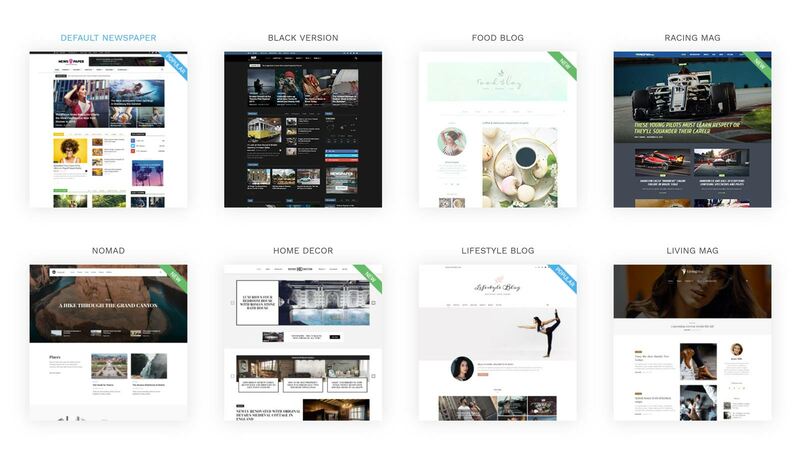 Multiple blog styles and beautiful post animations will breathe life into your blog. The clean and well-structured Hobo theme works perfectly for a Saturn-person. 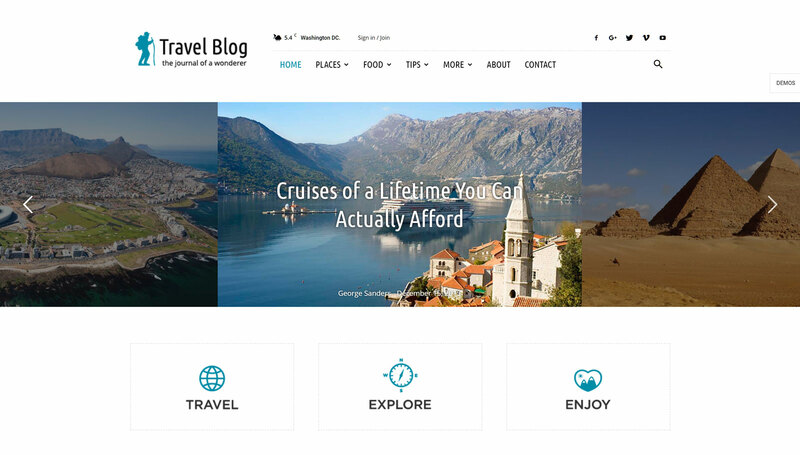 Its dazzling design and awesome functionality are exactly what modern travel and lifestyle blogs need. A plethora of homepages and inner pages will save you lots of time. This theme is user-friendly as it features plugins and tools that improve its navigation such as Mega Menu, Sticky menus, and Ajax search. Your customers will easily find the needed information using comprehensive tools for search and nifty-organized menus. Since time is a very important matter for any Saturn-person, this theme can be installed in a single click of the mouse. Thanks to the compatibility with drag and drop page builder the theme customization will take from a few hours for a few days. If you are looking for a modern responsive WordPress theme that requires a minimum investment of efforts and resources, Hobo theme is a great match. Need a trendy and colorful WP theme to launch go with the blog or magazine online? We have one for you. Buzz Stone is an extraordinary theme that could be used for blogs and magazines that cover the most controversial topics. If Uranus is a planet of rebellion than Buzz Stone is a rebellion against boring design and pood functionality. This theme comes with 10 attractive homepages. Each page covers a different topic so you can choose one that suits your blog best. This theme is compatible with a huge variety of powerful plugins, namely with WPBakery, Essential Grid, Slider Revolution, ThemeREX Addons, Booked Appointments, MailChimp, Contact Form 7, and more. Buzz Stone is a great option who want to use the website in conjunction with social media. The theme features lots of social media widgets which will help you to popularize your content and get more followers. We know you are dreaming of a beautiful blog WordPress theme and going to make it into reality. This powerful and vibrant WordPress theme is the best option to start a blog with. What is more, there is no need to be a professional developer to craft pages and change the default design of the theme. 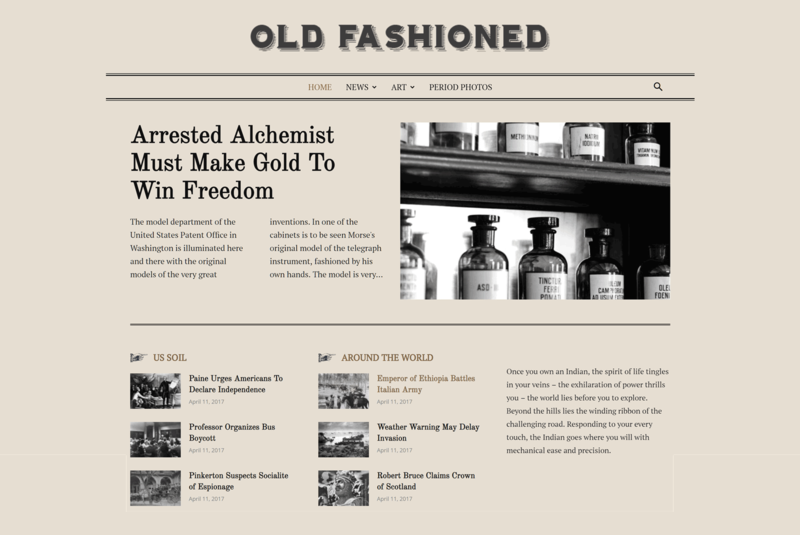 As other fresh blog WordPress themes, Aldo features Gutenberg. This is a fresh builder for WordPress websites that comes with blocks and shortcodes that require no interaction with the website code. You shouldn’t spend your time adapting the old theme to the latest technologies as Aldo features all needed plugins. This theme is aimed to improve the user experience with handy menus, simple navigation, awesome sliders, and galleries. Thanks to the theme responsive and Retina image support your visitors will enjoy a smooth experience on any device. There are 2 skin variations available – dark and white, so you can choose the option that seems closer to your spirit. Food is pure joy. However, sometimes, it turns into a real obsession. If you know how to break this vicious circle of eating, we encourage you to share this knowledge with a wide audience. Healthy lifestyle blogs are extremely popular these days. It is not a surprise since we find it a way to heal our diseases both physical and mental. Gracioza theme will help you to spread the love to a healthy lifestyle. Any nutritionist, fitness trainer, food blogger, and lifestyle coach would find this theme useful. The fists advantage of Gracioza theme is an ability of pre-made services, products, galleries, and other blocks and pages. Its design is based on a WPBakery page builder, which means there is no need to pay extra money for the theme customization. With Gracioza content creation turns into a child’s play. Use a handy constructor to craft unlimited designs in the live mode. We believe this theme will lead your blog to new heights.